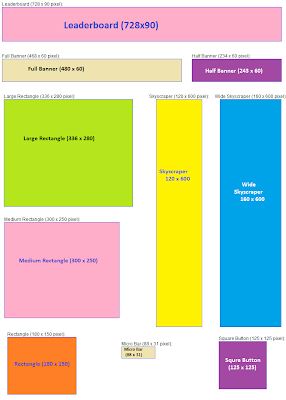 Recently there are a lot discussion on on the banner ads size. So far there is no any standard banner ads size defined by any organization. But But there are some guidelines from some market leaders worked like Google and Yahoo. Of course, everyone is free to define their own formats but we recommend you design your banners based on the guidelines to correspond with most advertisers. Here are some of the standard banner ads size based on the guidelines.